April 2010 | the every things. almost 7 weeks! can you believe it? I can't. i will most more later when i can stay at the computer long enough without having to run & puke. when I first starting getting morning sickness, I said to Brandon "I have never been so happy to puke before in my life" since my last MC I had not gotten to that point. Yeah, I'm re-thinking that statement. I think morning sickness will be the death of me today :( On top of that, Brandon has it to. He leaves before I get up, & will call me, "you feel sick?" i say "yes, its awful" he replies "me too." bless his heart. I'm not complaining, just my stomach & acid burned throat is. I still would not change it for the world. On a side note, I do not know if I have mentioned I am a photographer, & had a awesome Easter session last week & thought I would share the link to my photography blog, so check it out let me know what you think of my work, HERE. 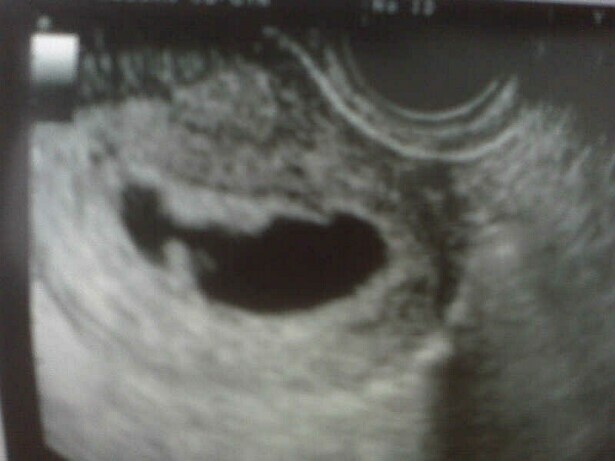 Next ultrasound tomorrow, pray we can hear the heartbeat so I do not die of stress. I am 6w3d today! Have a good hump day!! yesterday I got my second quants done.Then, late last night I started bleeding. I called the doctor, & he told me he was sorry but I was miscarring. I cried, & cried. I was done. I was never doing to get pregnant agian I could not bare the pain. I finally fell asleep from exhaustion emotionally & then this afternoon, my cell phone rang, it was the hosptial I thought what now? It was my Dr, my number sky rocketed, & my bleeding was just from over doing it (helllooo bed rest) & they he said it to me "I am so happy to finally tell you, you are pregnant! lets take this one to term" I couldn't belive it after all that pain the night before, today I can say I AM PREGANT! Although, I'm not very confident in saying it! My second ultra sound is this Thursday (have I mentioned that I love this new Dr, does free ultrasounds??). & I wanted to thank all of you for being there for me even if it was send "baby dust" or such encouraging words, all of your crossed fingers are worked!! Its by Whitney Houston. Hopefully you enjoy the song to. Everyone had a wonderful Easter!! The doctor called today, and said he wanted to call me to inform me my level was low, low 4 thousands to be exact. He said that could be just because its a early pregnancy but according to my ultrasound im 5 weeks, or something is "wrong". So, Im just confused. I looked up what it should be & one website said 5 weeks LMP: 18 - 7,340 mIU/ml So, at least I'm not 18??? I am trying to stay postive, but my Dr is not making that too terribly easy for me. I guess it lies in the hands of tomorrow to see if it has doubled. I don't think I can handle it not doubling. No, I know I can't. It seems like 5 billion people in my subdivison are having garage sales & all of them have a crib or a pack & play on their drive way staring at me as I drive by. & Every pregnant women in my little town is at those garage sales. well, I am going to try to go enjoy this day & nice weather before I work a few hours this afternoon. Hope however you go about your day, it goes well!